Over the course of the weekend of my bachelorette party in Vegas, the girls had all sorts of fun surprises planned, one of which was a list of questions that they had secretly asked Jamie to answer for them a few weeks before, and then asked me the same questions to see how well our answers matched up. As it turned out, most of our answers were so similar, that the girls were convinced he had shown me the list. But he most definitely had not! Two of the questions were, "what is Heather's favorite dessert?" and "what would Heather most like to lick off you?". His answers were lemon cake and lemon buttercream, respectively. He knows me so well! 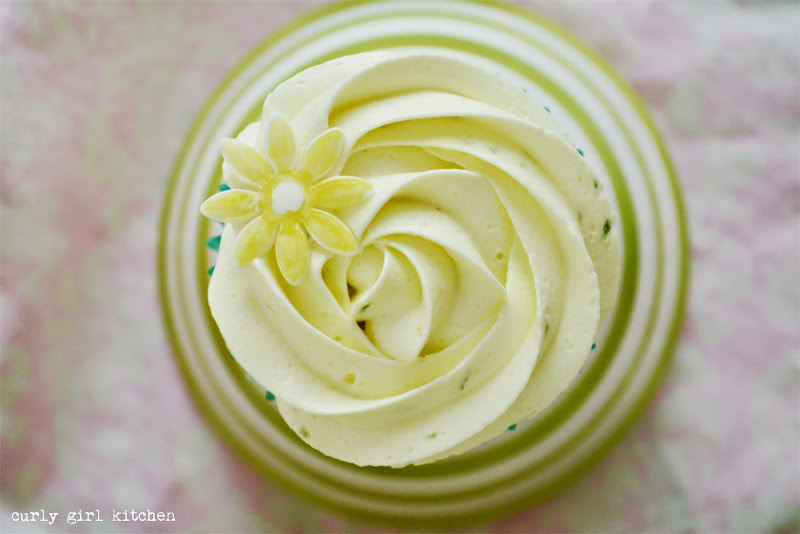 And before your thoughts turn in a naughty direction, there was no licking of lemon buttercream during the making of this recipe, other than off the cupcake. 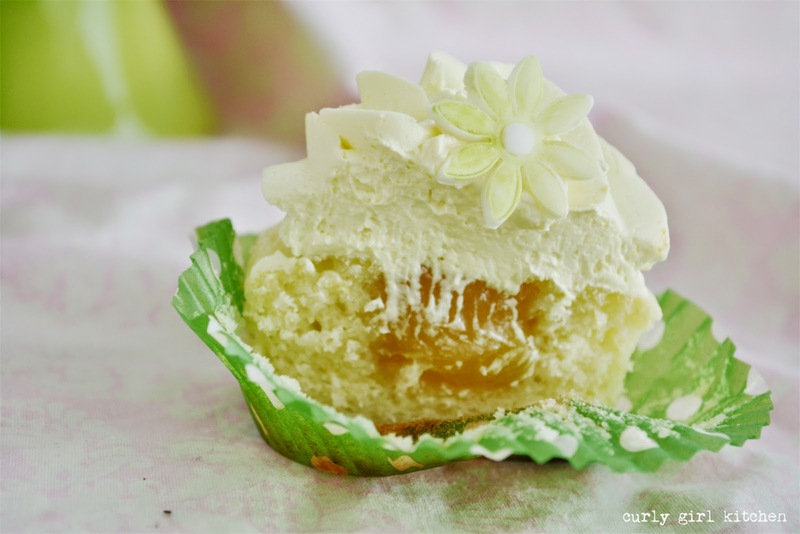 I had planned on making just lemon cream cupcakes. But as it turned out, I forgot to buy lemons, and only had half as many as I needed. But I did have a few limes, so by accident, these became lemon and lime instead of just lemon. 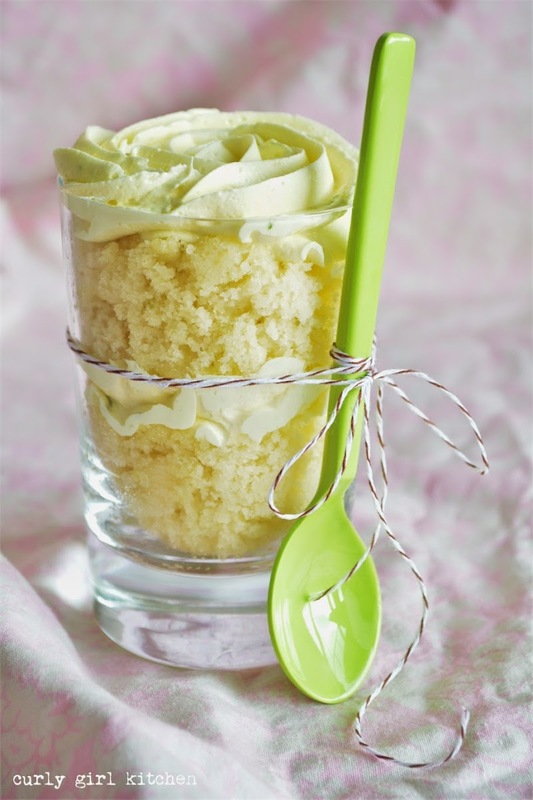 White cake mix really makes an amazingly light cake, and it's the perfect starter for citrusy cupcakes. 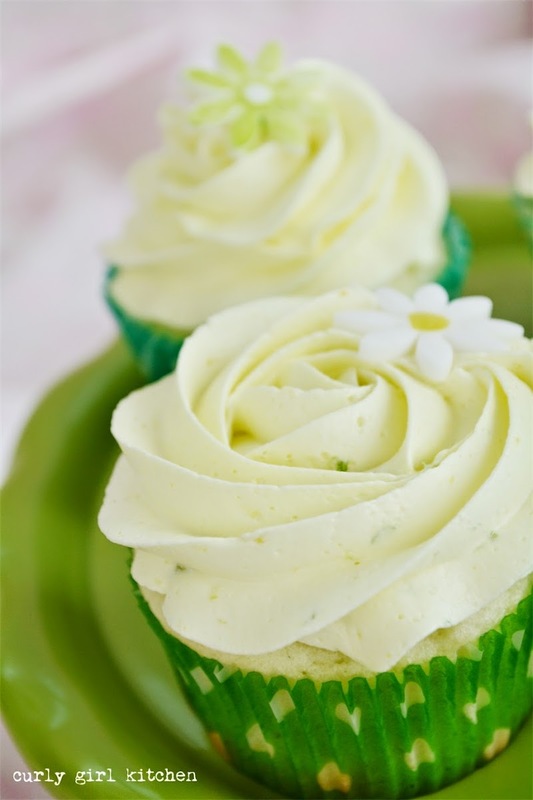 With plenty of zest and juice from the lemons and limes, and lots of cream, the cupcakes are bright without being too heavy or rich. I filled them with lemon curd, although lime curd would work just as well. 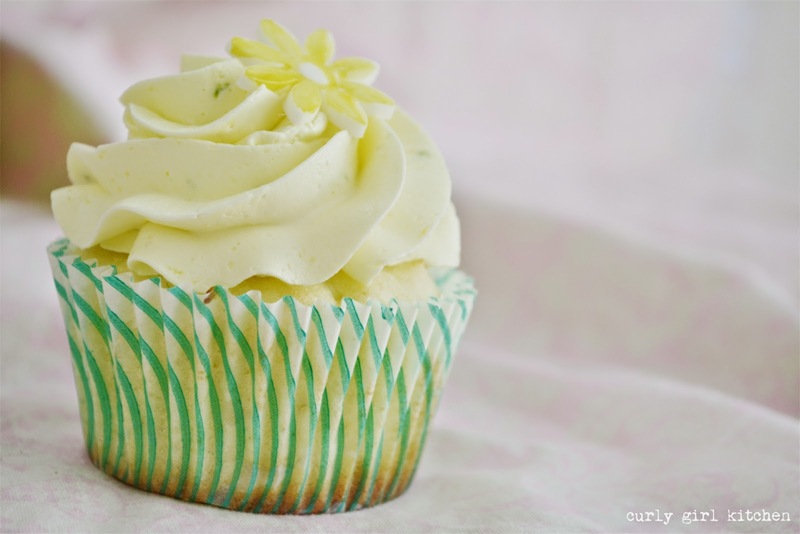 And fluffy lemon lime buttercream with flecks of zest throughout. The flowers are fondant, which I cut out with a little cutter and quickly painted by mixing a few drops of vodka with luster dust. 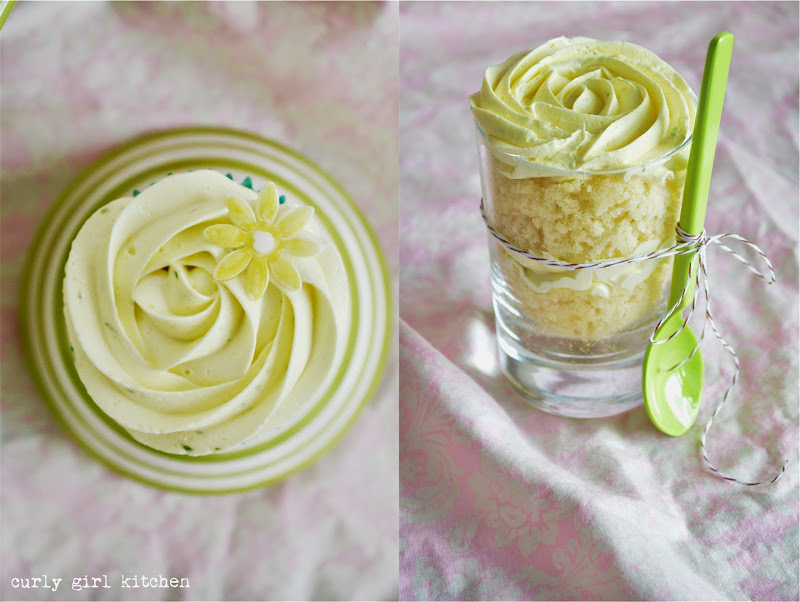 Since I had cored the cupcakes to fill them with lemon curd, I had a little bowl of cupcake centers left, so I pressed those into a glass, alternating with layers of leftover buttercream, for a little cupcake trifle for Jamie. It was all very PG, I promise. Preheat the oven to 350 and line a muffin pan/s with 24 paper liners. In the bowl of your stand mixer fitted with the paddle attachment, beat all the cupcake ingredients (except for the lemon curd) for 3 minutes. Divide batter between the liners. Bake for 14-15 minutes until a toothpick comes out clean. Cool cupcakes completely on wire racks, covered loosely with clean kitchen towels. 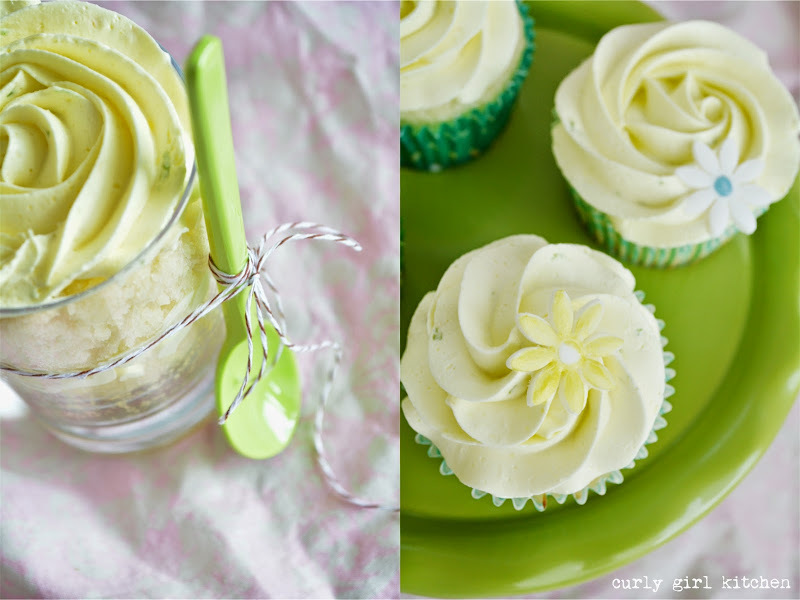 When cool, use a cupcake corer to remove the center of the cupcakes. Spoon the lemon curd into a piping bag and pipe the curd into the center of each cupcake. 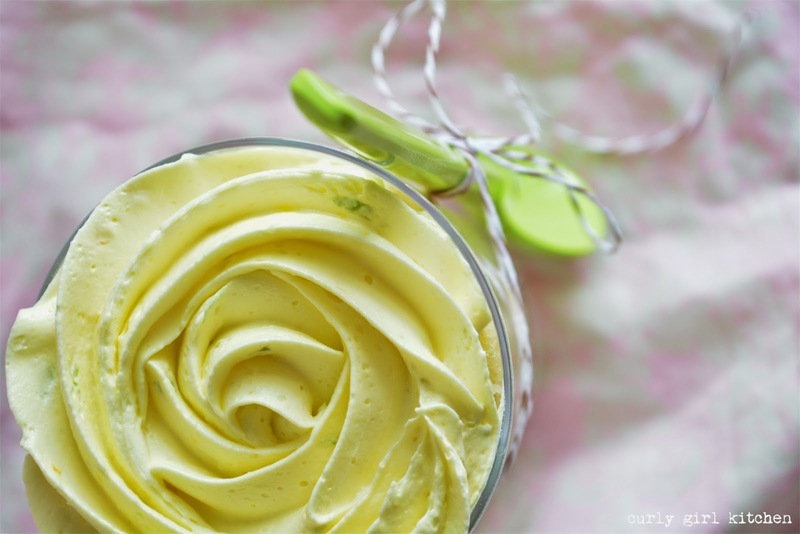 In the bowl of your stand mixer fitted with the whisk attachment, beat the butter with the lemon and lime zest until smooth. In a separate bowl, combine the powdered sugar and meringue powder. With the mixer on low, add the powdered sugar by spoonfuls. 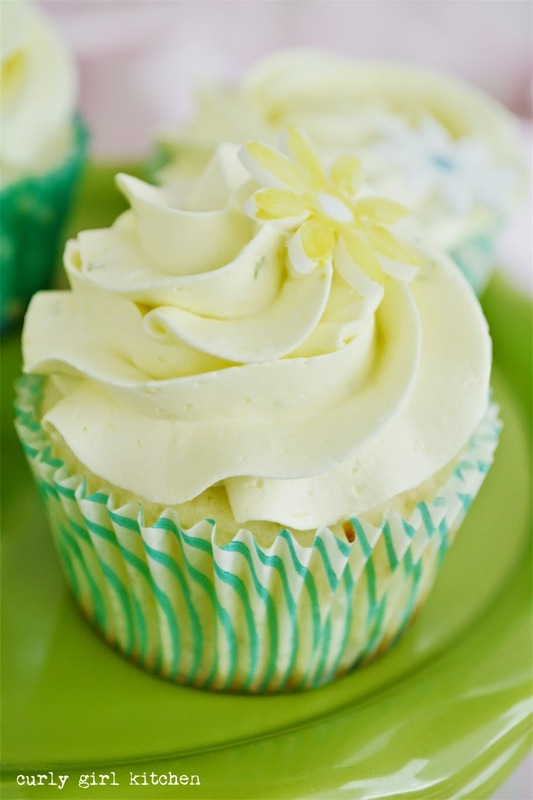 Add the cream and lemon extract and whip the buttercream on medium high for 4-5 minutes until light and fluffy. 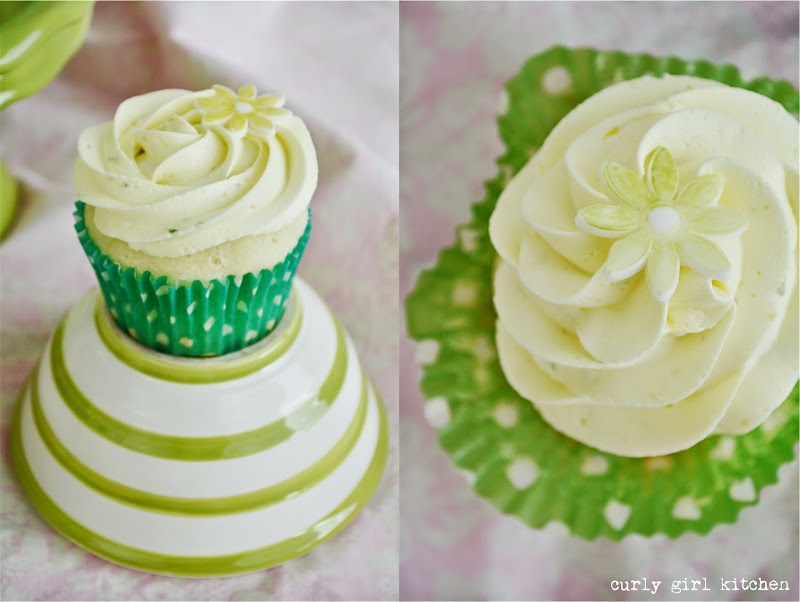 Pipe the buttercream onto the filled cupcakes.